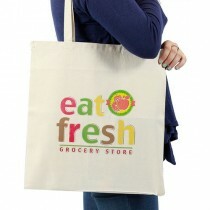 This sturdy eco-friendly 6oz cotton-canvas Tote Bag is washable, reusable and useful for anything from grocery shopping to hitting the gym. Printed full color on both sides and offer a huge print area of 9 x 13. 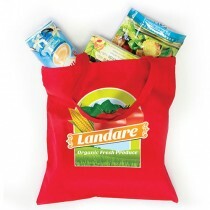 These Totes include dual self-fabric straps for convenient over-the-shoulder carry, leaving hands free for shopping applications. With low minimums, you can upload various custom images conveniently.